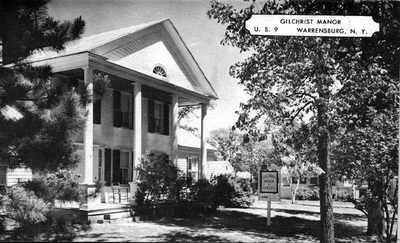 Tops occupies the property of the former Gilchrist Manor. 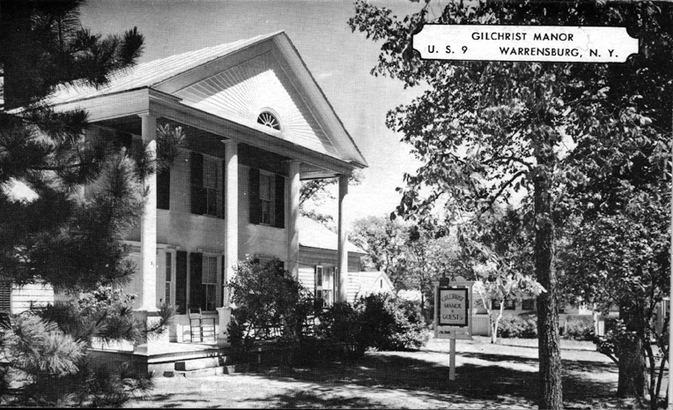 The Gilchrist Manor, previously known as the King House, was built by Pelatiah Richards, circa 1832. In May 1941 it was purchased by Mr. and Mrs. Paul Gilchrist from the heirs of Frederick W. King (and descendants of Pelatiah), Mrs. M. P. Willett and Mrs. Charles Osborne. 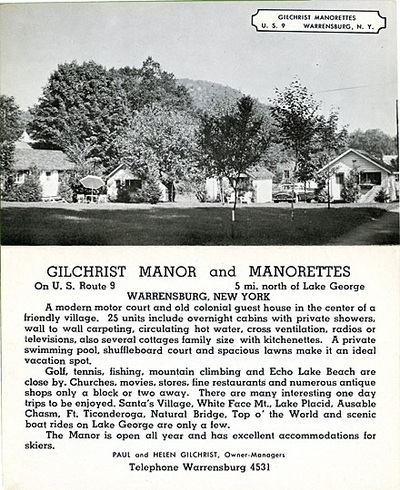 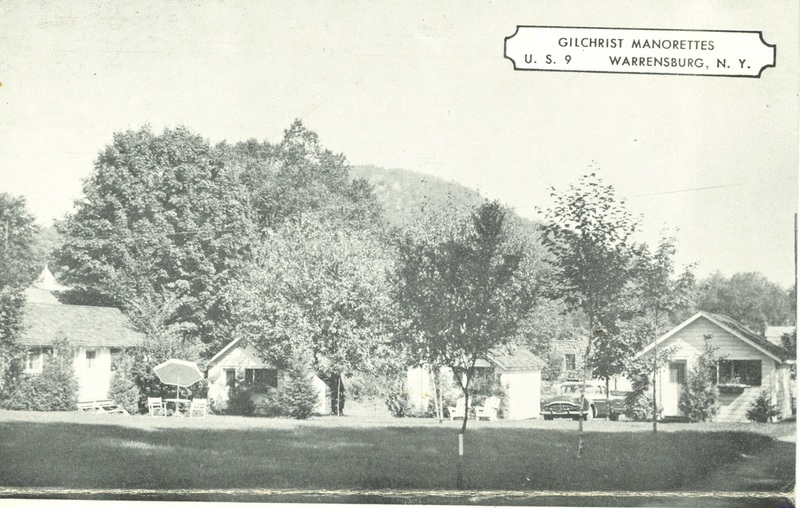 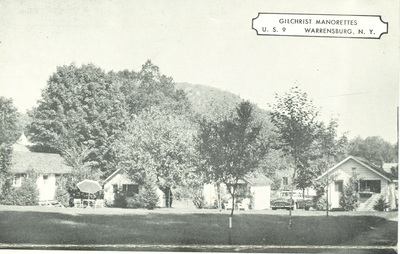 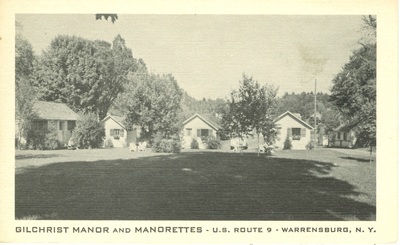 The Gilchrists operated a guest house with cabins, and later added a motel behind. The property was sold and in 1976 the home was destroyed by fire. 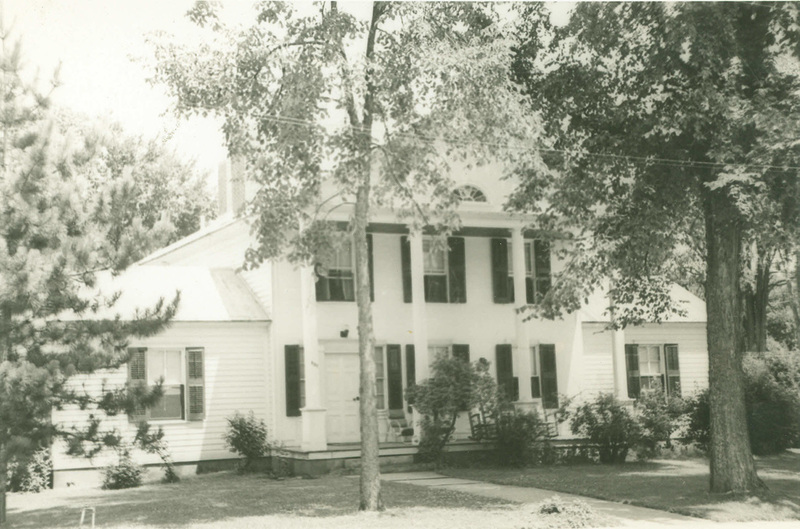 This house was one of the few examples of Early Classical Revival in the North Country. 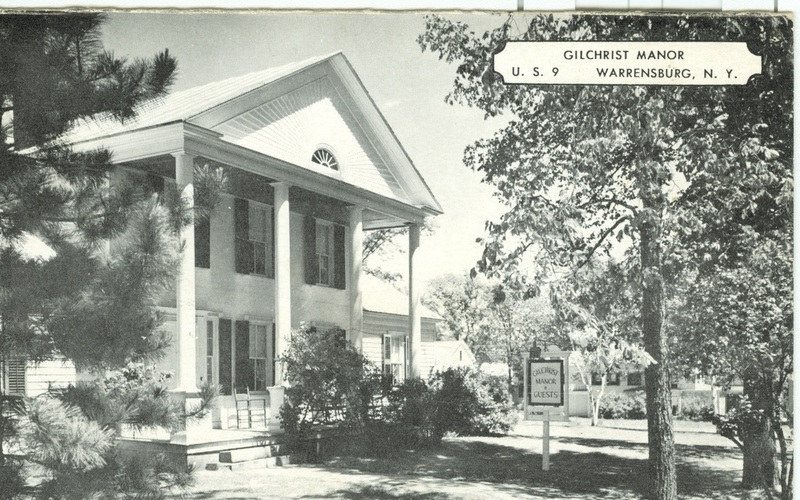 The mansion of a southern planter caught the eye of Pelatiah Richards and he sent a local builder to Virginia to measure the house and to create a replica in Warrensburgh. 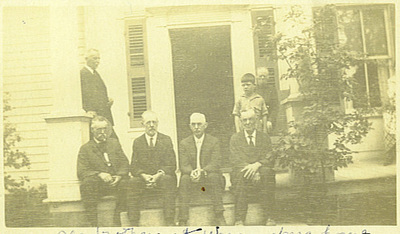 Ownership passed to Minerva King, daughter of Pelatiah and widow of Hesden King. 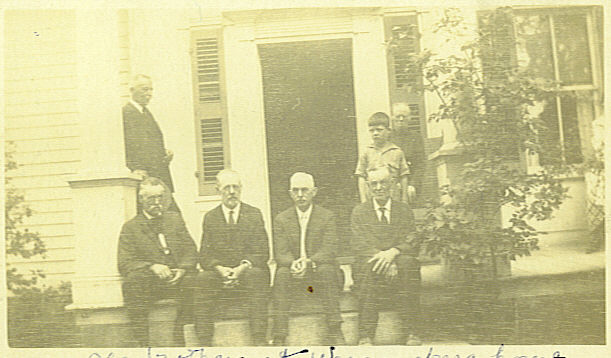 Several generations of Kings grew up there. 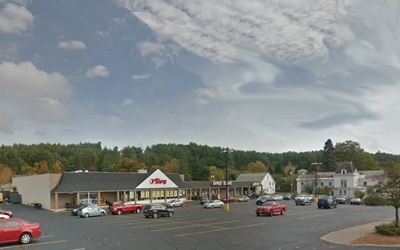 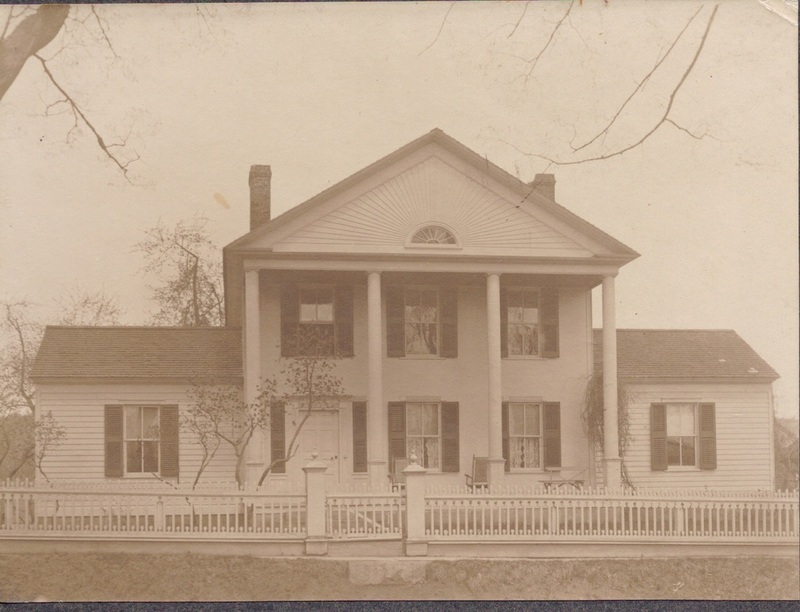 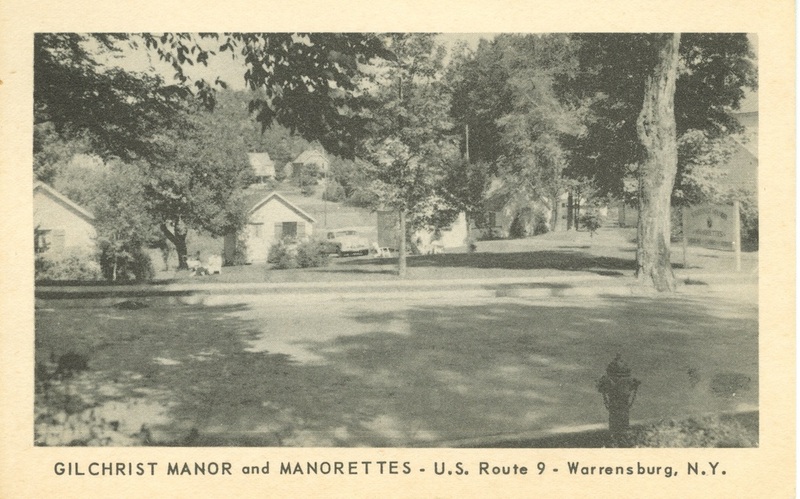 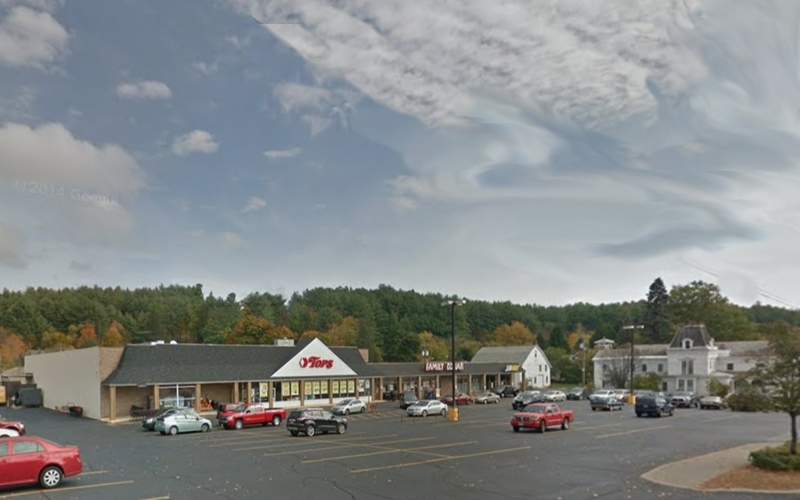 In addition to the King house at 125 Main Street, mention must be made of here of another home on the large tract of land, extending from Main Street to Hackensack Mountain, known as the King farm. 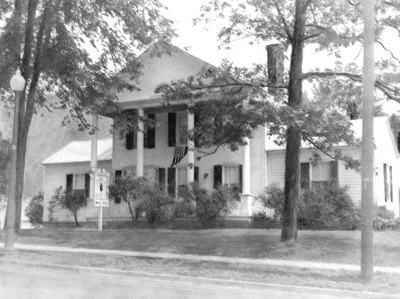 This well-kept house was built by Fred W. King, grandson of Peletiah Rechards. 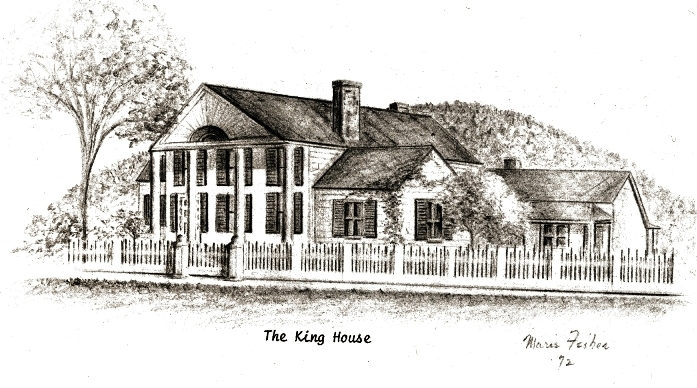 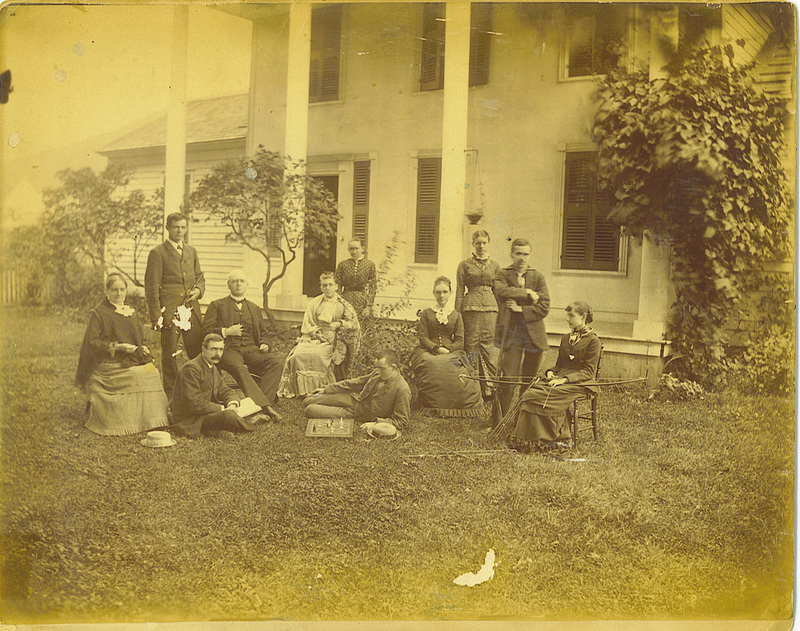 Construction of the house took place in the late 1800's; the bricks used in construction were made by Mr. King, himself. Mr. King did not occupy this house which he created with such affection, but, instead, when he married he lived and brought up his family in the ancestral home on Main Street. The house was let until 1927, at which time it was sold by Mr. King and his wife, Minerva, to Lester Love and his wife, Fannie. 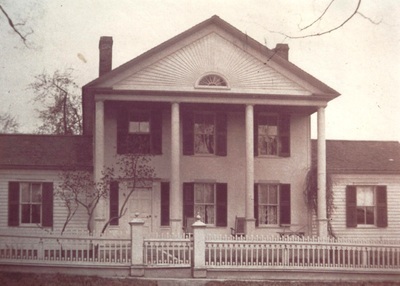 The Loves occupied the home until the middle sixties, when it was sold to the present owners. It is one of the few brick homes in Warrensburgh and has been kept in excellent condition.